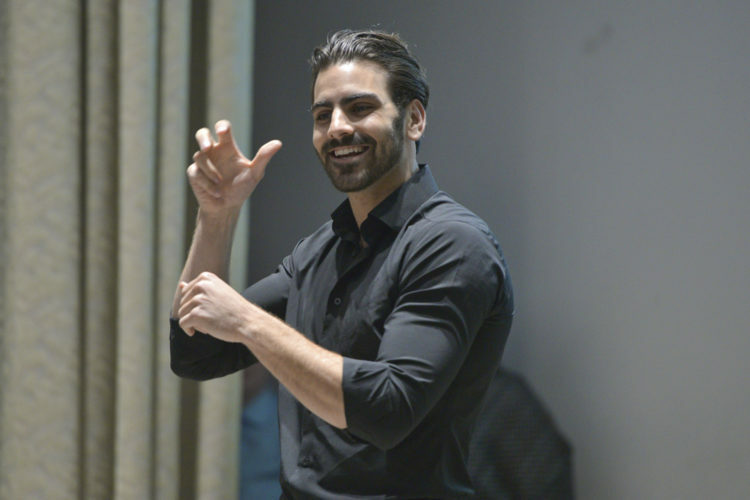 You may know Nyle DiMarco from America’s Next Top Model, where he was crowned the victor of the show’s 22nd season, in 2015. You may have seen DiMarco demonstrate perfect rhythm on Dancing With the Stars, where he went home with yet another grand prize. DiMarco, in short, is a winner. Now DiMarco is using his fame to try to help millions of deaf children around the world also gain access to language through his eponymous foundation. As part of that work, he appeared at the 2018 Social Good Summit in New York City to recognize International Day of Sign Languages and will appear at International Week of the Deaf, annual events that highlight the importance of access to sign language as part of achieving full human rights for deaf people. 5. What does the International Week of the Deaf principle “nothing about us without us” mean to you? Arunima Sinha is a serious mountaineer—she was both the first female amputee and the first Indian amputee to climb Mount Everest. And last November, she was awarded an honorary PhD from the prestigious University of Strathclyde in London. A former Indian national-level volleyball player, Sinha had her left leg amputated below the knee after being thrown from a train while resisting a robbery. Sinha was traveling to sit for an examination to join The Central Industrial Security Force (CISF), a central armed police force in India. She was pushed out of the train by thieves and lost her left leg below the knee as a result. While recovering, she resolved to climb Mount Everest and later trained with Bachendri Pal, the first Indian woman to climb Mount Everest, at the Uttarkashi camp of the Tata Steel Adventure Foundation (TSAF). Sinha became the world’s first female amputee to summit Mount Everest with a prosthetic leg on May 21, 2013. Since that achievement, she has gone on to be the first female amputee to climb some of the tallest mountains in Africa, Europe, Australia and South America. Her book, Born Again on the Mountain, was launched by Prime Minister Narendra Modi in December 2014. In 2015, she was presented with the Padma Shri, India’s fourth-highest civilian award. She was named one of the People of the Year in India’s 27th edition of Limca Book of Records in 2016. The award also recognizes Sinha’s charitable work through the Arunima Foundation, which seeks to empower women and people with disabilities, and generally improve the health and social and economic situation for poorer communities. “Our mission is to inspire and empower people to change their world,” the foundation says. For more information, visit the Arunima Foundation on Twitter @FlucknowA. Social media is a very popular tool among people with disabilities to stay connected despite the fact that most social media tools are not fully accessible. Staying connected electronically is even more important if a disability prevents a person from being able to easily travel. By posting pictures or videos of themselves and discussing issues that impact them every day, people with disabilities are also bringing awareness to their very particular and personal issues. It is important to understand that people and companies posting on social media have no control over the platforms’ infrastructures. That being said, there are practical limitations to what corporations can accomplish with respect to accessibility on the social media channels they choose to use. Most social media platforms have accessibility teams, and accessibility improvements are continually rolled out as technology continues to improve at a rapid pace. Many people posting content to social media platforms – for either personal reasons or as part of their job – do not consider or use accessibility features. While the social media platform may not be friendly to all forms of assistive technology, companies can and do control the content they post and should take the necessary steps to make that content as accessible as possible. In many cases, even if the platform doesn’t natively offer accessibility tools, workarounds can be implemented to improve accessibility. For the complete article, continue on to 3 Play Media. We all find ourselves in situations in which we don’t know what to say or do. We may meet someone who moves or acts differently from us, and we wonder how we should react. When you’re communicating with people with disabilities, the most important thing is to remember that they are people first. People who, like everyone else, want to be appreciated, respected and productive. As changes in civil rights laws have helped more people with disabilities pursue employment, attitudes toward people with disabilities are also changing. Creating a truly integrated society; one in which people of all abilities live and work together, starts with good communication. 1 Speak directly to the person rather than through a companion or the sign language interpreter who may be present. 2 Offer to shake hands when introduced. People with limited hand use or artificial limb can usually shake hands and offering the left hand is an acceptable greeting. 4 If you offer assistance, wait until the offer is accepted. Then listen or ask for instructions. 5 Treat adults as adults. Address people with disabilities by their first names only when extending that same familiarity to all others. Never patronize people of short stature or people in wheelchairs by patting them on the head or shoulder. 6 Do not lean against or hang on someone’s wheelchair or scooter. Bear in mind that people with disabilities treat their wheelchairs or scooters as extensions of their bodies. The same goes for people with service animals. Never distract a work animal from their job without the owner’s permission. 7 Listen attentively when talking with people who have difficulty speaking and wait for them to finish. If necessary, ask short questions that require short answers, or a nod of the head. Never pretend to understand; instead repeat what you have understood and allow the person to respond. 8 Place yourself at eye level when speaking with someone who is of short stature or who is in a wheelchair or on crutches. 9 Tap a person who has a hearing disability on the shoulder or wave your hand to get his or her attention. Look directly at the person and speak clearly, slowly, and expressively to establish if the person can read your lips. If so, try to face the light source and keep your hands away from your mouth when speaking. If a person is wearing a hearing aid, don’t assume that they have the ability to discriminate your speaking voice. Do not raise your voice. Speak slowly and clearly in a normal tone of voice. 10 Relax. Don’t be embarrassed if you happen to use common expressions such as “See you later” or “Did you hear about this?” that seem to relate to a person’s disability. Vermont, under Gov. Phil Scott, becomes one of the top 10 states with the best employment rates and Rhode Island, under Gov. Gina Raimondo, jumps from 47th in the nation to 19th. New statistics recently released show that Americans with disabilities saw a slowdown in job gains compared to those of the previous year. The Disability Statistics Compendium, released by Institute on Disability at the University of New Hampshire, shows that the employment rate for people with disabilities has risen to 37 percent. The Compendium also shows that geography has an impact on employment outcomes for Americans with disabilities. People with disabilities in North Dakota are twice as likely to have jobs as West Virginians with disabilities. The newly published 2018 Annual Disability Statistics Compendium compiles data collected by the Census Bureau. 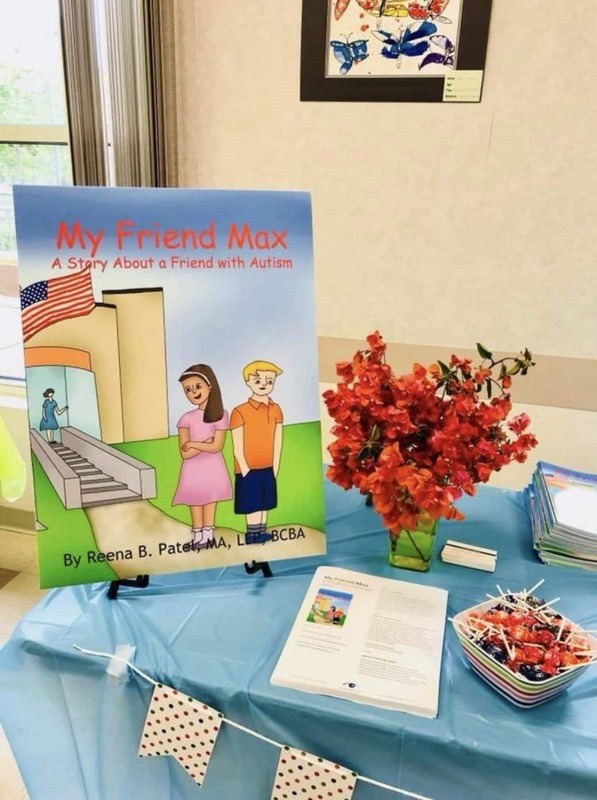 The Compendium is intended to equip policy-makers, self-advocates and others with clear statistics on disability in America today. Out of over 20 million working-age people with disabilities, 7.5 million have jobs. This data also shows the serious gaps that remain between disabled and non-disabled Americans. 37 percent of U.S. civilians with disabilities ages 18-64 living in the community had a job, compared to 77.2 percent for people without disabilities. “Employment rates only tell part of the story,” added Philip Kahn-Pauli, Policy and Practices Director at RespectAbility. “When you look across the intersection of disability and race, you find serious gaps in outcomes.” Only 28.6 percent of African Americans with disabilities have jobs compared to the 38.6 percent of Hispanics with disabilities and 41.2 percent of Asian Americans with disabilities who have jobs. Some states have higher employment rates for people with disabilities than others. North Dakota leads the nation with 56.3 percent of its citizens with disabilities employed and is closely followed by South Dakota with a 51.3 percent disability employment rate. One of the biggest surprises in this year’s data is Vermont. Under Gov. Phil Scott, Vermonters with disabilities have seen a 5.7 percent increase in jobs, bumping their employment rate to 47.2 percent. For a full break down of the top 10 states, please see the table below. Of the 50 states, 29 states saw job gains among the disability community, while people with disabilities lost economic ground in 21 states. Census Bureau data shows an astounding 23,953 Floridians with disabilities gained new jobs. Illinois saw the second biggest job gains for people with disabilities with over 20,000 new jobs even as 50,000 people without disabilities left Illinois’ workforce. Rhode Island deserves credit for seeing a major turnaround. As reported by RespectAbility, Rhode Island under Gov. Gina Raimondo ranked 47th in the nation last year with an abysmal 30 percent disability employment rate. As a result of a settlement agreement with the Department of Justice, Rhode Island began to close shelter workshops where people with disabilities had been paid subminimum wages. Through sustained efforts to promote competitive, integrated employment Rhode Islanders with disabilities are now experiencing new success. Over 7,000 people with disabilities entered the workforce in 2017, pushing Rhode Island to stand 19th in the nation. As bipartisan consensus grows around ending subminimum wages, Rhode Island shows that transformative success is possible. Continue on to RespectAbility.org to read the complete article. Sitting in a living room in Oakland, a cute robot with giant eyes gazes at a 65-year-old with heart failure and asks how he’s doing, making conversation about the patient’s family and the weather while gathering daily details about his health. 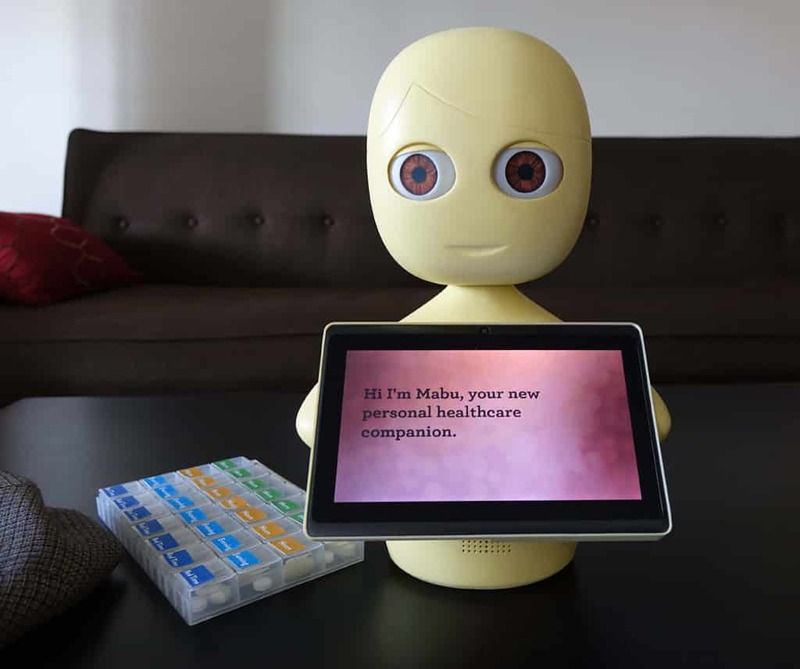 Mabu, a robot roughly the size of a kitchen appliance made by a startup called Catalia Health, has been working with Kaiser Permanente patients over the last year. (Patients don’t pay for the robot, Kaiser does.) Within the next couple of months, it will also begin with rheumatoid arthritis and late-stage kidney cancer patients, funded by pharmaceutical companies who make drugs to treat those conditions. The goal: help patients with chronic diseases get better care than they could in a system run by humans with limited time. Instead, he says, a patient might decide to stop taking medicine because it doesn’t seem to be helping, or conversely, because they’re feeling better and don’t realize that they need to keep a steady dose of the drug in their system for the effects to last. Side effects are another problem. Through daily conversations with someone, the robot can discover these issues and offer advice while notifying human caregivers. The startup, which has been developing Mabu over several years, worked to make technology that patients would actually use. One insight was simple, but key: Eye contact makes a difference. “When you put that little robot in front of someone who looks into the eyes while it’s talking to them, it seems that we get the psychological effects of face-to-face interaction,” Kidd says. The platform also learns about a particular patient’s interests and personality over time, helping it tailor what it says to build a stronger relationship and keep someone engaged over time. “What’s going on in the background is we’re actually constructing a conversation on the fly for that patient at that point in time,” he says. 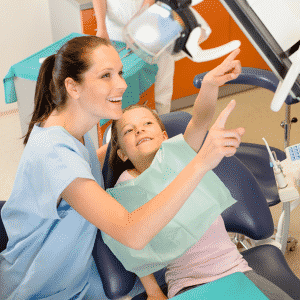 A large touchscreen displays questions in writing as they’re spoken aloud, to help patients who have trouble hearing.